Truvelo Manufacturers will launch a new company, Truvelo Africa Mechanical Division, and a new CMS 20×42 mm sniper rifle at the Africa Aerospace and Defence exhibition outside Pretoria next month. Truvelo said the Counter Measure Sniper (CMS) 20×42 is the first bolt action precision rifle of its kind and is designed around the 20×42 mm cartridge designed and developed by Denel PMP for its innovative Inkunzi and Inkunzi Strike weapons. “This lightweight and compact rifle is unique in its size to payload comparison and will therefore be the perfect addition to specialised military and anti-terror units,” Truvelo said. The 20×42 mm bursting ammunition is designed to give soldiers a capability similar to a grenade launcher. Some of the ammunition designed by PMP includes high-explosive incendiary, semi-armour-piercing high-explosive incendiary, ball, and ball tracer. The new sniper rifle joins Truvelo’s growing CMS range, which was earlier this year expanded by the CMS 6.5×47, unveiled in April. Truvelo said the rifle weighs 6 kg (including telescope and magazine), with an overall length of 1 180mm. It will achieve sub MOA (minute of angle) results at distances up to 500 metres. Effective range is 1 200 metres, depending on ammunition. The rifle has been built primarily for the civilian sport shooting market but that it can be used in a military context as well. Truvelo’s CMS stable which includes the CMS 7.62×51 mm, CMS 338 Lapua, CMS 12.7×99 mm and CMS 14.5×114 mm. 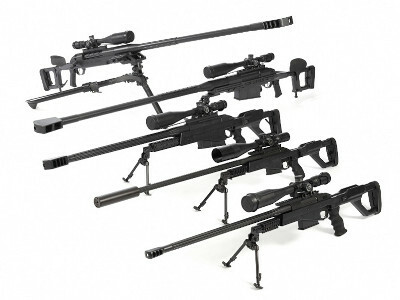 The company also makes the SR 20×82 mm and SR 20×110 mm bolt action weapons. Truvelo said the new company, Truvelo Africa Mechanical Division, will take over all business activity from Truvelo Armoury Division in the South African and African defence and commercial markets. Reuben Olifant, Chairman of Steel Best Armoury (Pty) Ltd and the majority shareholder in Truvelo Africa Mechanical, said, “It’s exciting to be heading up one of the first major transformation transactions in the amour industry and to ensure meaningful participation and skills transfer to previously disadvantaged South Africans. Truvelo will continue to persevere to being a proudly South African world leader in the amour manufacturing industry”.